Reading really makes people smarter since books are the gateways to different worlds. They are simply designed to enthrall you and bring you over the other worldly adventure. Books could be called as the timeless treasures, which are designed to last the ideas forever. The current age belongs to the digital revolution, which stands between paper books and eBooks. People simply love eBooks since helps them to carry countless books in their hands. The booklovers and avid readers could have their own small library handy in their iPad devices. But in order to access these books, you need an eBook reader application, which are plenty in numbers. If you are keen to have one at your iPad make sure you check out for the best. The fact is there are many best quality eBook reader applications available for free. Let’s check the ten best free eBook reader applications for iPad as under, I hope these free applications will give you 10 more reasons to save trees. This application is Apple’s default eBook reader and PDF reading application for iPad devices, which comes for free. It comes with a beautiful interface and remains to be a very user friendly application for book readers. In fact, its latest version of iBooks 2.0, you could find several more advance features, which makes learning a great fun. This application is really incredible since it allows you to show the pages turning while you swipe it using your fingers, thus giving an illusion that you are reading from a real book. You can access countless free and paid books from Apple’s BookStore. You have several features, which help you in reading, marking, magnifying the content inside the books you read. It is compatible to formats like PDF, ePub and other books, which are developed in the iBooks Author including the .iba formats. Another popular eBook reader for iPad users, which comes for free, is Kindle. It has a very user friendly interface. It is basically Amazon’s book reading application, which has been recently updated. Earlier it has only one background of little child sitting reading a book near a tree foot. It carried an animated background, for instance, in the day time, the background is blue, during the evening it comes with yellow or orange background and at night, it simply appear blue or black having starts at the background in the sky. However, in the recent update version it has become a dark gray background. Opening books are very simple in Kindle and it supports different formats including PDF, MOBI, AWZ, ePub and TXT book formats. Kindle Device from Amazon is one of the most popular reading devices and its popularity has continued in the form of iOS and Android apps too. This is not just an ebook reader, which happens to be a user friendly application but also acts as your effective organizer that helps in organizing a number of books, groups and titles in your library for your easy access. The book list present in Stanza shows you that reading is in progress. Your reading experience simply becomes interesting and fun with different background colors and themes. You could even choose any photograph at the background as per your transparency choice in your page background. It supports different formats including PDF, ePub, DjVu, Comic Book Archive, etc. Needless to say, it’s free for your iPad devices. This eBook reader application is developed by Barnes & Noble and hence you need its user account to read books through this app. As you sign in, you get 5-6 free eBooks as default. The layout you find here in Nook is pretty much similar to other eBook reader applications. You could find a number of buttons over the page, a few of these is to control the text size, brightness, Sepia theme, fonts, search page numbers, make a bookmark. It supports formats like PDF and ePub and is certainly free for the iPad users. It is also a popular eBook reader application, which was earlier known as Google Books. It is quite similar to Nook, wherein you require a Google account to access this application to read books. As you sign in, you get three different free books to read as a default. Reading through Google Play Books is a real fun as the animation effect gives different effects at the background. You have the option of choose the book in two different ways- Flowing Text and Scanned pages. And when you select the scanned pages, you get the feeling of a real book. This feature is not found in any other application. It supports PDF and ePub format books. Another best eBook reader application for iPad users is Readability, which gives the avid readers the most beautiful ways to read different articles from a number of sites or any other source without any fluff or distractions coming through ads. All you need to do is to sign up for free and start adding books and articles from the BookMarket. The other services and applications and social media sites too support Readability, which allow you to read articles and books from these sources. Of course, it comes for free from the iPad and iOS users. This eBook reader application is not only the best option to check Image, DC, Marvel, other popular comic books, but also encompasses around 500 free comics for young people to read and enjoy. In fact, it is one of the best reading interfaces available for the iPad users in the Apple’s App Store. Thus you have the option of reading any comic of your favorite superhero or things like horror or mystery stories in a comic format. The latest Comics 3.2 version has additional features, which makes learning fun and interesting for young readers. If you love magazines and journals then installing the free eBook reader – Zinio could be your best bet. It is among the most popular eBook reading application, which seems to be running in million of mobile devices including the iPads for reading digital magazines. The rich media and interactive feature of Zinio simply enhances your reading experiences in your chosen magazines. 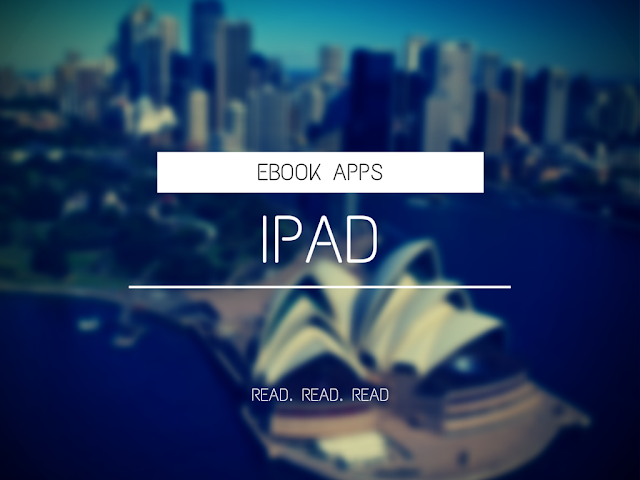 It is a popular free eBook reader for the iPad users, which was earlier known as Reader It Later that helps you to read and save number of articles and check photos. Also, you could save a number of other things you face over the social media or web to check things offline at the later stage during your free time. These include saving videos as well, but this could be only carried out online. 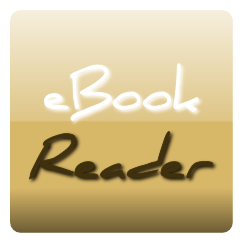 This free eBook reader helps you in finding and sharing a number of free books and articles from all across the globe. It carries both the usual eBooks and the different digital books, which are published by non professional authors. WattPad simply helps in connecting with other writers and readers. It helps in adding a real fun element in your reading experiences. All these free eBook reader application is a good companion for people who simply love to read books and happen to be a voracious reader. These applications not only help in improving your reading experiences but also add a new spice in your reading. So if you are a reader don’t miss to download these eBook readers in your iPad devices for free and enjoy reading books and articles. About The Author: Alia is a writer/blogger. She loves writing, traveling and reading books. She contributes in Market Tech Media Reviews. Now-a-days iPad is a part of our life and it,s flexibility can make it so easy.Thus these apps mention above make our eBooks reading experience difference with iPad.